Having a pool is a fantastic addition to your home for most of the year, but it can also be a major pain to maintain and upkeep during the colder months where you wouldn’t be caught dead swimming. During that time, you will have to not only winterize your pool, but you’ll have to make sure that it doesn’t overflow from heavy rains or snowfall. 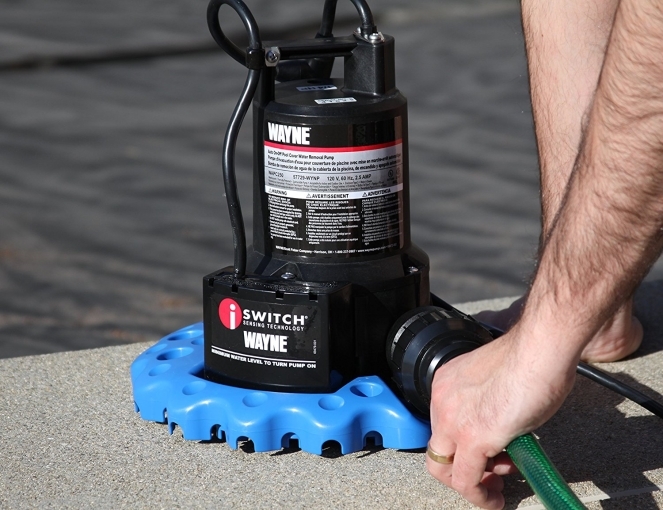 When that happens, it’s necessary to have a best rv ﻿﻿﻿water pump nearby so that you can remove excess liquid and keep your pool in prime condition for when the weather turns nice again.Fortunately, when it comes to water removal, nothing is quite as effective as the Wayne WAPC250 review Pool Pump. Let’s take a look and see what this machine can do for you. With other pumps, the biggest issue is that you have to monitor it all the time to make sure that you only get rid of the water you want without going overboard. Also, you don’t want to have your pump trying to cycle water through when there is none, meaning that overheating or burnouts can happen if you’re not paying attention. In this case, however, the Wayne WAPC250 has an automatic switch installed that activates when there is 2 ⅛-inch of water detected and shuts off when it reaches ¾-inches. This way, you can leave the unit unattended overnight or during the day without any worry about it not working properly. One of the biggest issues during the fall and winter times is that dirt and debris fall into your pool. Cleaning it out is already a hassle, but you don’t want to have to do that every time you need to get rid of excess water, right? Thankfully, this pump has a strainer base that filters out large debris so that you can pump everything out without worrying about clogs in the system. It’s not 100% perfect, but it will make your job a whole lot easier overall. The other great thing about the base is that it floats, meaning that you don’t have to worry about the pump tipping over while it’s resting on your pool cover. The base keeps the whole thing stable and working correctly all season long. With other pumps, you have to bring them in at night so that they don’t freeze in the colder temperatures. While we don’t recommend leaving this machine out in the cold all of the time, if you forget about it or need to do some pumping in freezing weather you can do so, and it won’t jam up from the outside temperature. Overall, this pump is well built and can handle almost any environment. While this particular model is designed to keep your pool cover free of excess water, you can use for any pumping needs. The max flow rate is three thousand gallons per hour, which means that if you had to drain the whole pool for whatever reason, you could do it with just this device. No matter what your draining needs, this pump can work for you. Since it sits on your pool, you might be worried about the unit tipping over on accident and falling to the bottom and shorting out. Thankfully, the whole thing is completely waterproof and submersible, meaning that even if it drowns it will keep on working. Granted, it will most likely start pumping water out as soon as it dives under, but it won’t burn out as a result. Can you use this pump to drain the water from the pool itself? Yes, because it’s submersible you can drain from anywhere without any problems. Can it work if the water is close to freezing? It can, but we would recommend avoiding using the pump for too long in freezing temperatures. It is protected against such damage, but you don’t want to leave it exposed for long periods as it can have a detrimental effect over time. Is there a way to turn it off manually? Unplugging it is the only way to turn it off reliably. Unfortunately, the switch kicks in no matter what as long as it senses enough water. When comparing this water pump to others, you can see that this is the gold standard. 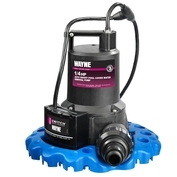 Whether it’s maintaining a clean and water-free pool cover or draining excess fluid from any part of your home, this pump is built to deliver the best results every time.